I THINK THAT THIS MODEL IS NEW BUT I CAN'T BE CERTAIN SO I'VE LISTED IT AS USED. THE BOX IS VERY GOOD & HAS THE LID COVER. Condition is Used. One of the rarer versions of the Tornado produced by Armour Franklin Mint which ceased production in 2008. This is a rare opportunity to own a now discontinued 1:48 scale model of the Retired R.A.F Tornado GR-1. The aircraftis in pristine condition with the exception of the missing front nose spike. Not all Tornado's actually had a spike so this model is still a good representation of the type. Luftwaffe I/JG 73 "Steinhoff" 29 05 Mig-29 Fulcrum G. The Mikoyan MiG-29 is a 4th generation jet fighter aircraft designed for an air superiority role in the Soviet Union. Developed in the 1970s by the Mikoyan design bureau, it entered service with the Soviet Air Force in 1983, and remains in use by the Russian Air Force as well as in many other nations. F-14 Tomcat VF-41 Black Aces 1:48. This supersonic, twin-engine, variable sweep wing, two-place fighter remains the primary defender of the U.S. fleet. Currently, the U.S. Navy has nearly 700 F-14s in active service or on order. 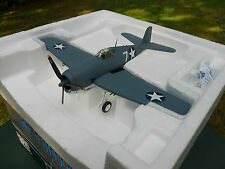 This is aFranklin Mint Collection Armour 1/48th scale B11E190 F-4U Corsair - "Marines" US - grey/black - Mint in Excellent Plus box. Bundesmarine (German Navy). F104 Starfighter. Franklin Mint Armour Collection. 1:48 Scale. MFG 1 22 28. 'Wild Weasel'. F4 Phantom. Franklin Mint Armour Collection. 81 Tactical Fighter Squadron. 52 Tactical Fighter Wing. 1:48 Scale. U.S Air Force. FRANKLIN MINT ARMOUR 1-48. F4E Phantom. F-4 Phantom II, U.S.A.F, Vietnam, Col. Robin Olds. Boîte d'origine. Franklin Comme neuf p40n Warhawk Grand 15. Franklin Comme neuf b25 Hells Fire. 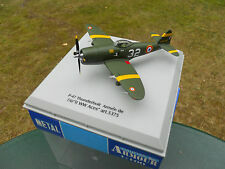 Really nice model one the best I have seen ,FM at its best, the detail on this model is unbelievable. New Model never displayed. Inner box in good condition. Franklin Comme neuf f15 Eagle. Tempête du désert. 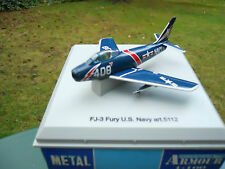 This is a Franklin Mint Collection Armour 1/48th scale AABB11F042 S8D Dauntless- US Airforce - Grey. A Franklin mint model of a Bell UH-1B Huey fire & rescue helicopter. in boxed / near mint condition, we have been the first to open the box. scale 1/48. Franklin Comme neuf HARRIER GR 7... bluetail. 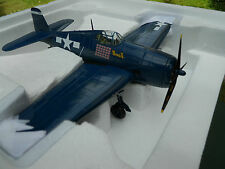 This is aFranklin Mint Collection Armour 1/48th scale B11F015 F6F HELLCAT -"USS Santee" - blue. 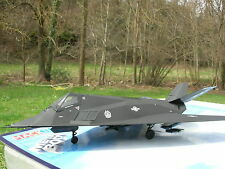 Franklin Mint F-117 Stealth Bomber 'Black Bunny'. 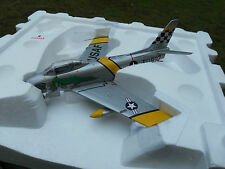 1:48 scale diecast model. Pilot =Gunther RALL callsign Black 13. New Model Never removed its box. Franklin Mint RAF B25 Mitchell 'Grumpy'. 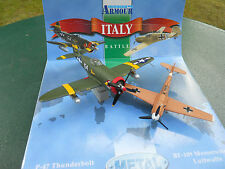 1:48 scale diecast model.